This car is beautiful! It seems that whenever I come across really obscure old cars for sale, they’ve usually been restored by someone who has had the car in their family for 100 years. They don’t necessarily have the know-how to do it right and parts are usually impossible to find. But this thing looks brand new. Societe des Automobiles Diederichs was founded by Charles Diederichs near Lyon, France. He built a steam tricycle in 1878 and, with his sons, experimented with gasoline automobiles in 1899 and 1900. The company was actually founded in 1912 to produce road cars. It folded two years later in 1914. Their cars used 2.1-liter straight-fours making 10 to 12 horsepower. They also used round grilles and engine compartments, much like the Delaunay-Bellevilles of the time. Only about 60 cars were produced by this company before they folded. It is likely (although not certain) that this is the only one left. This one has been owned by the same person for 68 years! The price is listed as “upon request” – the most annoying of all prices. Click here for more info. 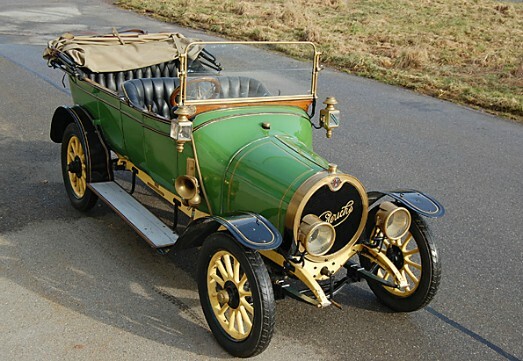 This entry was posted in Uncategorized and tagged 1912, cars, classic cars, diederichs, for sale, oldtimergalerie, series i, type lc by classiccarweekly. Bookmark the permalink. Charles Diederichs is my ancestor. I had hoped to see this car on my next visit to France, but now that Albert Reypin or his family have decided to sell it may go out of the country. It would be best if it went to a mueum in the Lyon / Isère region, such as the Musée des Confluences, which holds a fine Diederichs mechanical loom, or the Musée Malartre, which specializes in vehicles of the region.